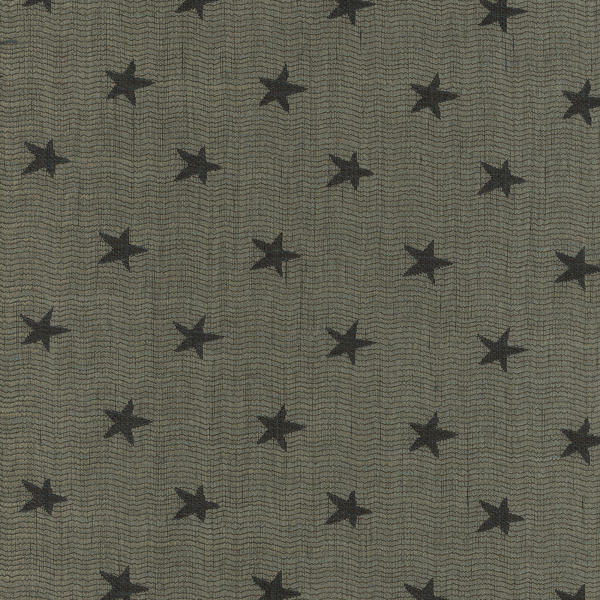 A retro star woven into a fine, vertically ribbed, silk-like fabric in dark bronze charcoal. The background is mimetic of Blenheim, where the wavy ribbing design adds a relaxed feel with its slight, light-reflecting sheen. Portobello is fun and quirky and looks stunning as curtains with undulating folds.